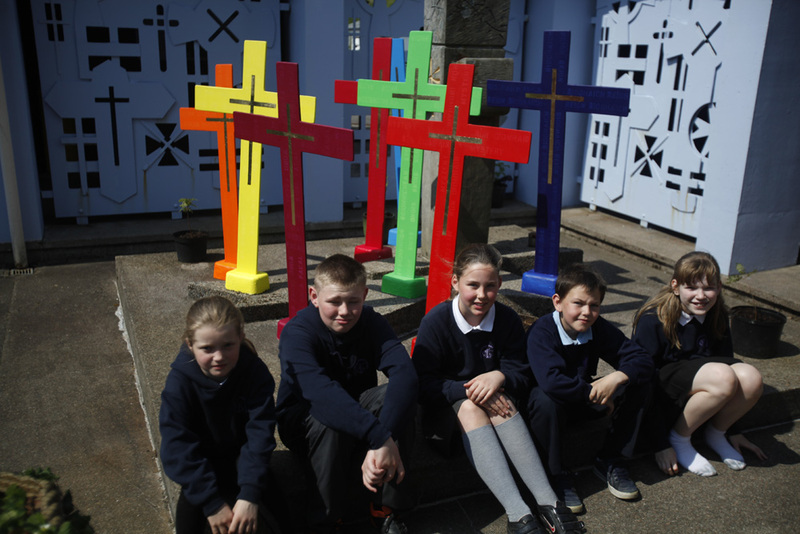 Artists of Room 13 Lochyside created an installation for a service in St Columbus Cathedral. 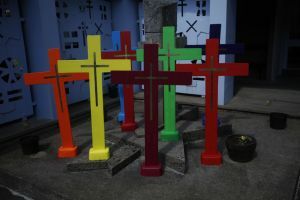 The piece consisted of nine crosses cut and sanded by hand, painted and finished with gold leaf and stencilled with words relating to the faith. These were unveiled yesterday in a service at St Columbus Cathedral in Oban cathedral to mark the launch of ‘This is Our Faith’, the new syllabus for Catholic religious education in Scotland.